This document is intended to provide procedures on using standard nuts and bolts to adjust rear camber on your 2000~2005 Eclipse after lowering it. We split the packages up in two. We preassemble the bolt, lock washer, washer and placed them all in one baggy. These will be going through the plate assembly on the stock eclipse upper arm brackets. The other baggy is full of spacers. This allows you to use 5 washers per bolt to pull your camber plate out away from the car (hence pushing the top of your wheels out for less negative camber). Mechanic’s socket set with 14mm, 17mm sockets and wrenches. Torque wrench which tightens in foot pounds or Newton meters. Just break the lug nuts on the rear wheels. Nothing worse than fighting with this while the car is in the air. Put the car on a lift, or jack the rear of the vehicle up paying extra special attention to the jack points underneath the car. Finish loosening your lug nuts and removing your rear wheels. Note: At the botom of this documentation is a diagram from the Factory Service Manual depicting the removal of the upper arm assembly. Loosen bolt #1 (Upper Arm and Knuckle Connecting Bolt) 17mm socket/wrench combo. Reinstall the bolt/lock washer/single washer combination in place of the bolt #2 (Upper Arm Assembly Mounting Bolts). With the spacers, slide over 3-5 washers through the bolt after the upper arm brackets. 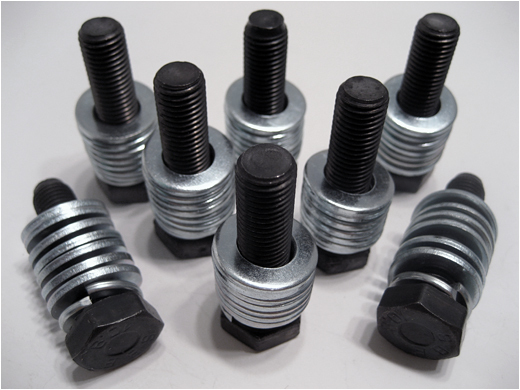 Tighten the new bolts down with a 17mm socket to specification. Tighten bolt #1 (Upper Arm and Knuckle Connecting Bolt) down with a 17mm socket/wrench combo to specification. The idea of this kit is to restore the camber back to factory specifications after lowering the vehicle using an aftermarket suspension. Off of the top of my head, I don’t remember what those factory specifications are, but you can add more washers to decrease the camber. Visually you can probably tell where you need to be.